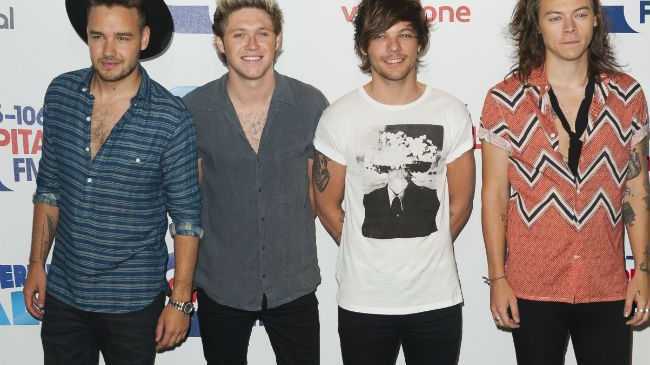 ONE Direction's last gig could be on 'The X Factor'. Music mogul Simon Cowell wants his prodigies to end their five-year-run with a nostalgic show-stopping set on the talent contest that brought them international fame back in 2010. He said: "I'd like their last performance before their break to be the X Factor final, 100 per cent. I think they will come on the final of 'X Factor' this year. But the Syco boss has no doubts they'll be back on the music scene together one day. He added: "They're such a great stadium band now, they're more than a boy band, they really are a proper band. I'd be amazed if anyone actually walks away from this for good ... Why would you walk away from this forever? Meanwhile, Simon, 55, disaproves of former member Zayn Malik's twitter battles and thinks he needs to keep "quiet". He said: "I don't like this Twitter stuff, you are always going to regret what you say on Twitter. With Zayn I just think he needs to get a sense of perspective back in his life, which is that he had a really great opportunity, he decided for whatever reason he didn't want to do it anymore so maybe just keep quiet for a while, make a great record and enjoy life. He continued: "I haven't spoken to him recently. Once the decision was made that he was going to leave the group we always said we would never have him compete with them. Speaking at the launch of this year's 'X Factor' show in London, he added: "I was nervous for the lads because they were in the middle of a tour when it happened, I thought it was a bombshell. What was amazing was how they stuck together as a four, no complaining and just got on with it. When you see them in their latest music video or on tour now, you kind of think, 'OK, I miss Zayn but they are still amazing together'."